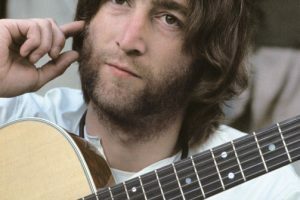 If the Beatles or the Sixties had a message, it was learn to swim. Period. And once you learn to swim, swim. You make your own dream. That’s the Beatles’ story, isn’t it? 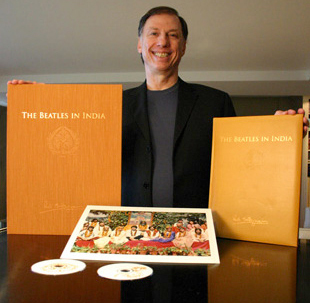 The Super Deluxe and Special Limited Edition collector’s box sets celebrate the unparalleled majesty of the Beatles’ music and creativity, as well as the intimacy of Paul Saltzman’s unique photographs and candid text. Paul Saltzman is a two-time Emmy Award-winning, Toronto-based director-producer of over 300 film and television productions. In 1968, he learned meditation at the Maharishi Mahesh Yogi’s ashram in India, an experience that changed his life. There, he photographed the Beatles, Jane Asher, Cynthia Lennon, Pattie Boyd Harrison, Maureen Starkey, Mia Farrow, Donovan, Mal Evans and Mike Love. 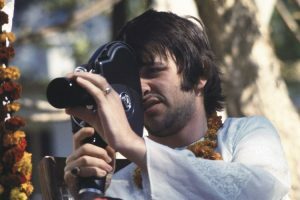 The year after Sgt Pepper, the Beatles came to India. 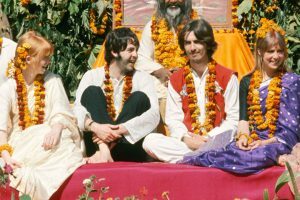 In 1968, the Beatles travelled to India to find something that all their fame and fortune could not give them. They went to find inner peace. It was a time of creativity and a time of change. 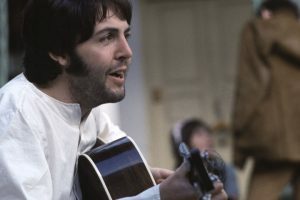 In 7 short weeks at the ashram they wrote 48 songs. Not knowing they were there, I had arrived to learn meditation, desperate to heal a broken heart. We hung out together for a week. 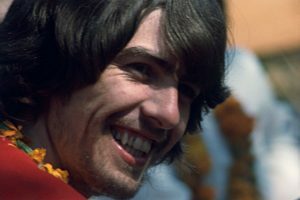 The meditation was life-changing, as was meeting the Beatles. It was a deeply private experience and back home I put the 54 photos I had taken away in a box and forgot about them for 32 years. It is my pleasure now to share them with you.